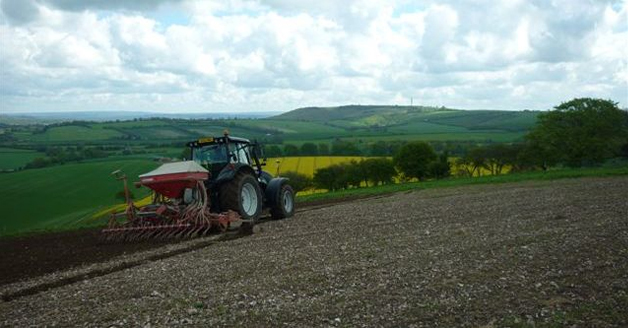 SDFBI - What is the South Downs Farmland Bird Initiative? The South Downs Farmland Bird Initiative (SDFBI) is a collaborative partnership between Farmers, Conservation Organisations and Government Agencies. It provides a focal point for information and advice on how to integrate conservation management into modern farming businesses. The mixed farming, light soils and spring cropping on the Downs provides a diverse habitat, and with it a range of possibilities for wildlife management. Much of this is targeted towards farmland birds, and will also benefit a whole host of other species including rare arable plants, mammals such as brown hare, butterflies, insects and wildflowers. The South Downs is a predominantly farmed landscape. We aim to show that producing quality food whilst also providing habitat for wildlife is workable and achievable. This may be as a whole farm approach or by concentrating on specific areas on the farm.